In the only show space in Russia "Leningrad Center" viewers will be able to watch the unique production of Felix Mikhailov's show "Beautiful M". This is a story about a Russian ballerina who went on a journey around the world in search of happiness, despite intrigues and betrayals. The main role will be performed by the famous ballerina Vera Arbuzova. 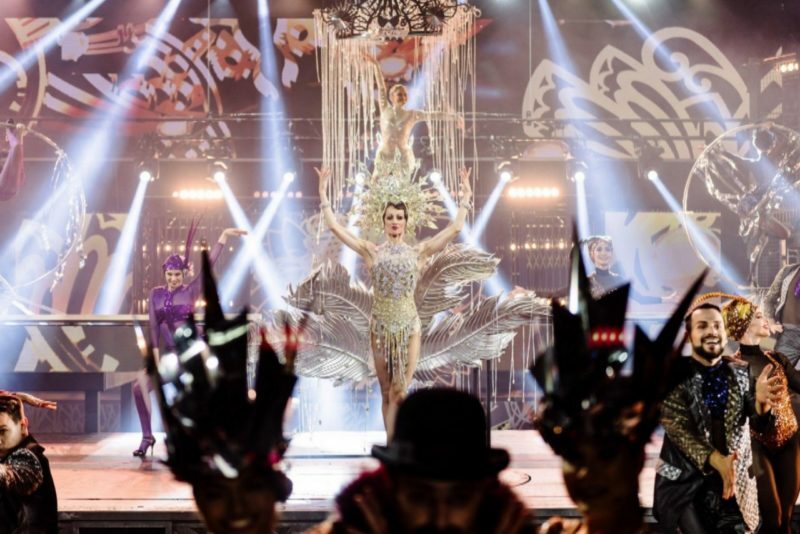 Guests will enjoy live vocals from the participants of the projects "Voice" and "Toch-to-the-Tot", as well as choreography from the winners of the show "Dances", aerial acrobats, jugglers and other representatives of the theatrical and circus direction. For the production, more than 400 designer suits were sewn. Surprise and scenery, which are decorated by hand and come to life thanks to technology 3D-mapping.